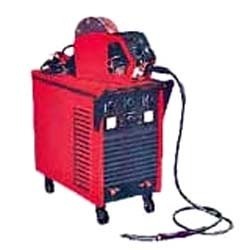 We are counted among the top most suppliers and traders of fine quality MIG Welding Machine. Manufactured under strict supervision, these MIG Welding Machines are obtained from authentic vendors, who have been linked with us since a long time. Offered MIG Welding Machines are appreciated among the clients for their optimum performance and shock-proof body construction. Incorporated in 1979, we, Amit Engineering Co., are a sole proprietorship firm that is engaged in the supplying, importing, trading and exporting of an ample range of Sheet Metal, Wood Working & General Machineries. The extensive range of supreme quality machines offered by us is inclusive of Sheet Metal Sheering Machines, Press Machines and Folding and Bending Machines. Known for their longer functional life and stability, the entire range of best quality machines offered by us has amassed words of intense praise among our client-base spread all across the globe. Confiding on the prudent vendors for optimum machines we ensure a qualitative range for our revered clients. Made using high-grade metals and alloys at the vendor’s end, these equipment are highly durable in their features. Owing to the premium quality of the machines that we are committed to offer, we have accomplished in acquiring the desired position in the market. To ensure an optimum range for the clients, these are manufactured in abidance by the predefined industry standards at the vendor’s end.